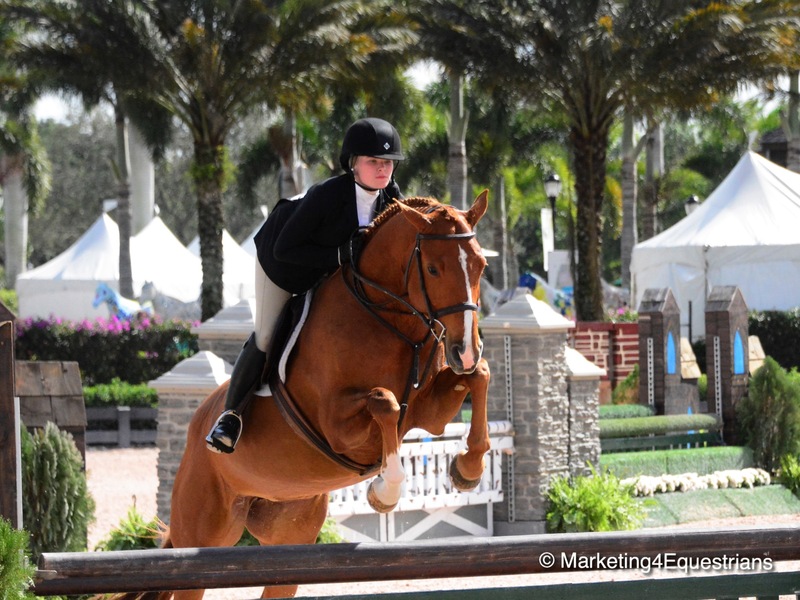 Wellington, FL – March 20, 2018 – Hunter Holloway, at 20-years-old, is stepping out on her own to operate Hunter Holloway Stables, currently located in Wellington, FL. Since her double-header equitation wins in the 2016 Washington Equitation Championships and the 2016 ASPCA Maclay Finals, Holloway has turned professional and is all business, especially in the ring. 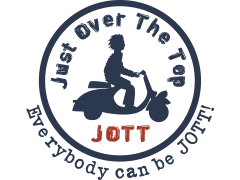 The smart and talented young rider has World Cup and Olympic goals with dedication and passion to make it all happen. 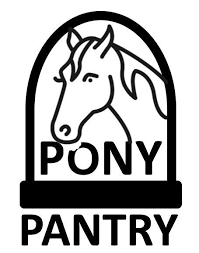 She learned the ropes from her family business, Equi-Venture Farm, in Topeka, KS, with her mother, grand prix rider Brandie Holloway. With the support of her family, Holloway is putting her own stamp on the new business. Holloway currently schools her horses with the famous horseman and former U.S. Chef d’ Equipe, George H. Morris. Holloway values hard work and is meticulous about her barn as well as keeping all other aspects of the business organized with the help of her team and manager, Caroline Mcleese. The team keeps everything operating at the highest standards with blankets perfectly hung, roomy stalls with clean and fresh shavings, immaculately cleaned buckets, perfectly groomed horses, and tidy grooming stalls. That is before you even step into the ring, which sports the family's Kansas City baseball team jump along with a strategically set course for schooling with Morris. He regularly comes over to help school and ride Holloway's horses. George H. Morris helps Holloway get VDL Bravo S ready for the International Ring at WEF. “I am teaching you what has taken me a lifetime to learn, and I am only half way there,” Morris has said to Holloway. Holloway’s business includes grand prix jumpers, sale horses, young investment horses and hunters, lessons, training and catch riding. Many of the young horses offered are out of Holloway’s famous mount, Any Given Sunday, who has been shown in the grand prixs, hunter derbies, junior hunters and equitation, making him as versatile as his rider. Holloway also has customers that meet up with her at the shows as well as ones that show on the road with her. On the back of a horse, Holloway’s resume speaks for itself. In 2017, Holloway wrapped up the year by finishing second in the Washington International Horse Show Puissance class with Cassevel. She racked up U25 wins including the U25 Young Rider Cup at the Split Rock Jumper Tour and Tryon Summer. 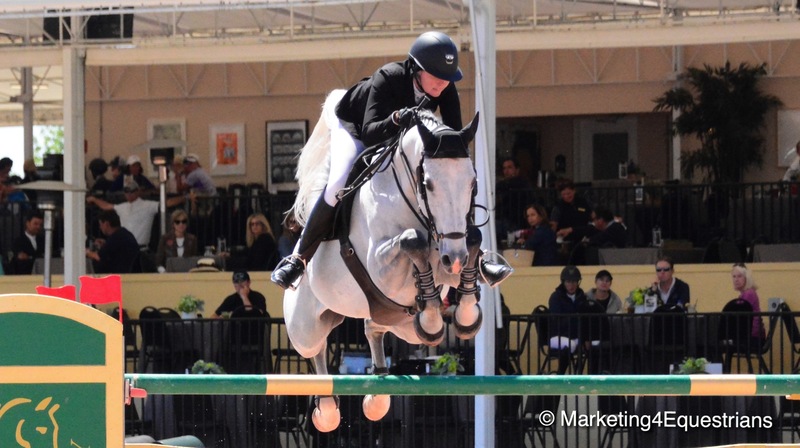 She stepped into 4* and 5* competitions with top ten finishes including Live Oak International, the Spruce Meadows Progress Energy Cup, The Tryon $216,000 Grand Prix and the Ocala Winter festival FEI CSIO4*. She rode to Grand Prix wins during the Ocala Masters and the $50,000 St Louis National Charity Grand Prix. “She is a top, top competitor,” said Morris. Her grand prix string includes the handsome gray, VDL Bravo S, Eastern Jam, Gamechanger and Virginia Bartholomay’s Cassanova 30. She also rode Donnalaris, owned by Bartholmay, until the mare was recently leased until November to Molly Canfield from Long Grove, Illinois. Not to forget, Holloway’s talent in the hunter rings earned her International Hunter Derby wins in Tulsa and Ocala with Any Given Sunday. Holloway kicked off the Winter Equestrian Festival with 1st and 2nd place finishes in the U25 on Eastern Jam. Winding down the circuit, Holloway finished 2nd on VDL Bravo S in the $35,000 Hollow Creek 1.50m Championship during Week 10, with 14 clean in the jump off. 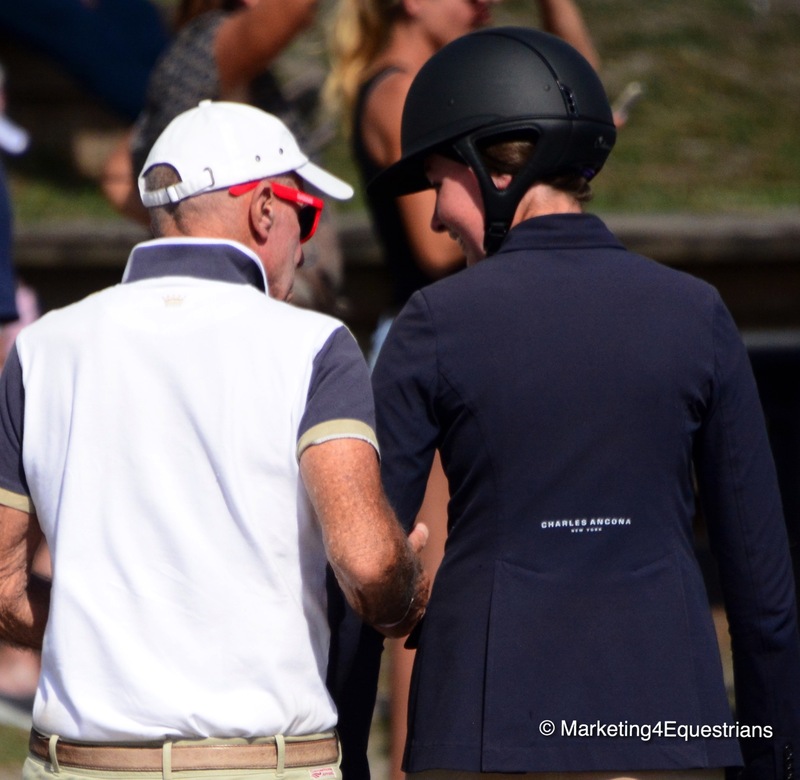 Holloway keeps a string of customer and sale horses and can be seen coaching at the hunter and equitation rings as well as the International Ring. Clients of Holloway’s have earned top billings as well. Shelby Sherba with Momma Ace was Leading Adult Jumper Rider at the Las Vegas National after earning the division championship. Hannah Loeffelbein with FVF Brulee rode to the Leading Low Junior Jumper Rider and the Low Junior Jumper Championship at the Las Vegas National. 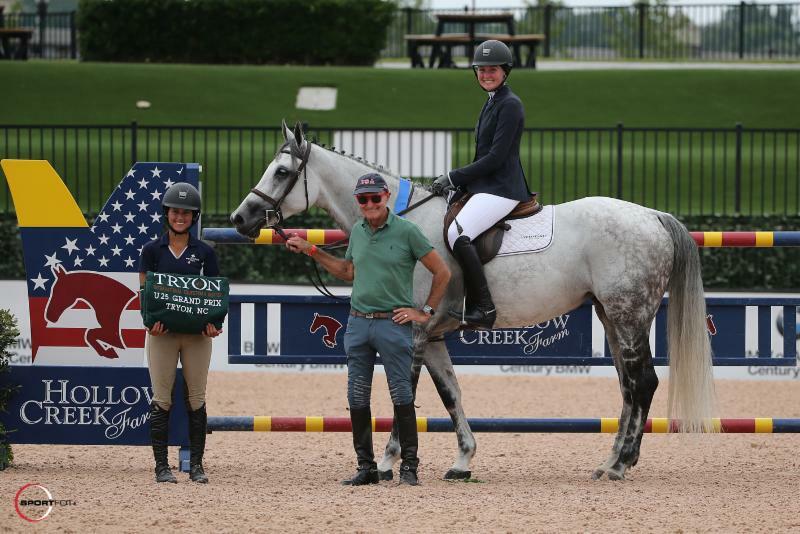 Don Stewart trained Grace Boston on Holloway's Ruby Tuesday to the Small Junior Hunter 15-17 Championship-WEF 10. Team member Caroline Mcleese and her Caprisio won a 1.30m class during WEF 1 and Britta Belline with MTM Mr. Grace won a Children’s Hunter 15-17 class during WEF 5, while Grace Boston, who rides with Don Stewart, earned the Small Junior Hunter Championship on Holloway’s Ruby Tuesday during WEF 10. 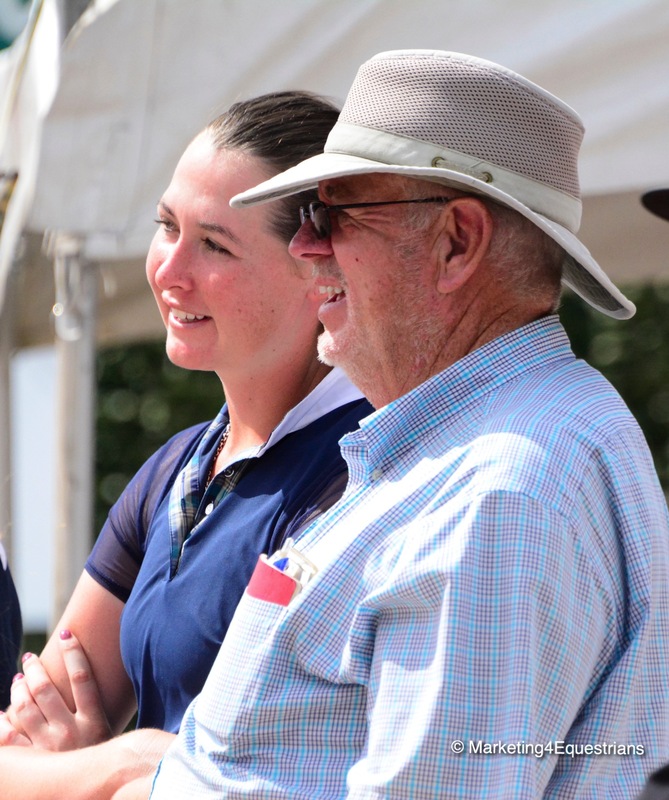 With the help of her team, particularly Mcleese, Holloway is able to keep on top of the business with showing, training, lessons and sales, while making time to bring on her game. “It’s been a big change running the barn as far as the business side of things but not so much when it comes to stepping out as a trainer. It’s what my mother has taught me to do so that part was a natural step to take,” admitted Holloway. “I know Hunter will be successful because she’s not afraid of the work,” said trainer Don Stewart, who was part of the team in Holloway’s equitation championship wins. “She also gets her sense of humor from me,” joked Stewart, pictured left with Holloway. Holloway has a new website that launched this week and can be viewed at hunterholloway.com. She can be reached via her website or by email at hunterholloway@yahoo.com or 785-380-1990. 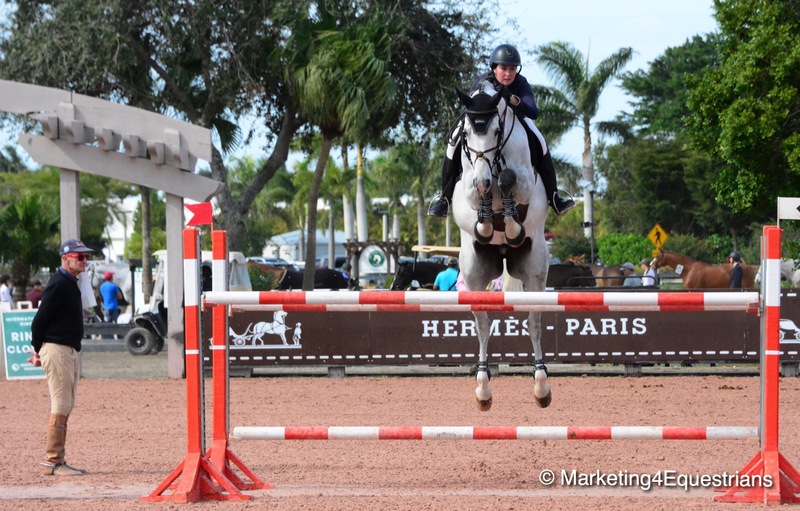 Holloway plans to head to Omaha and on to Tryon after the WEF series. Holloway is scheduled to appear at the Galway Classic in Long Grove, Illinois, September 7thfor a demonstration, clinic and Q&A session for equitation riders. Contact Brenda Mueller at mailto:Brenda@Marketing4Equestrians.com to participate. 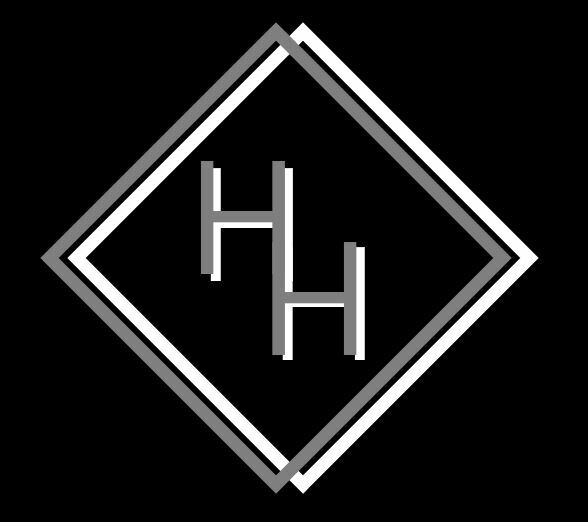 Hunter Holloway is accepting new clients and horses for training. Hunter Holloway Stables provides full service care and top stable management along with high end training and showing. 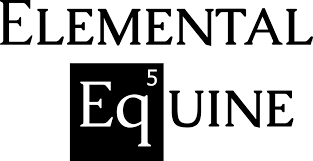 They offer quality horses for sale for all rings and levels and welcome investment horses. With two locations and a full show schedule, Holloway can accommodate clients from many locations. Contact Hunter for a private consultation.